The name Mark Duggan will be familiar to many of Intercad ’s customers, most of whom would have been in contact with him at one point or another for technical support, advice or ideas on how to get the most from their SolidWorks investment. 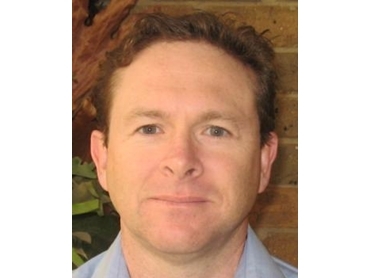 Mark is Intercad's support team leader, and last year was awarded the highest honour attainable from SolidWorks - the coveted SolidWorks Elite Application Engineer (SEAE) award. He is currently the only SEAE in Australia and New Zealand, and one of a relatively small group of individuals to have achieved this level of recognition anywhere in the world. Aside from attaining seven SolidWorks certifications (the basic requirement for an SEAE award), Mark has also been involved in writing articles and presenting web training for SolidWorks to other professionals, and is heavily invested in his commitment to, in his own words, "give back to the SolidWorks community." "It's a privilege to have been nominated by Intercad for the award, and then to be recognised by SolidWorks for my work over the years," he says. The extra recognition that comes with an SEAE accreditation makes Mark confident that Intercad can provide a high level of support locally, with direct access to the SolidWorks development team when needed. Mark began his career as an apprentice fitter and machinist before progressing to the design office where he was directly involved with locomotive and freight wagon design. He moved to the food industry after 12 years, designing and developing freezer and conveyor systems as part of a project engineering team. A short spell in vehicle design then followed, before he joined Intercad in 2003.